Just after crossing the Sierpe River mouth the fishing starts. 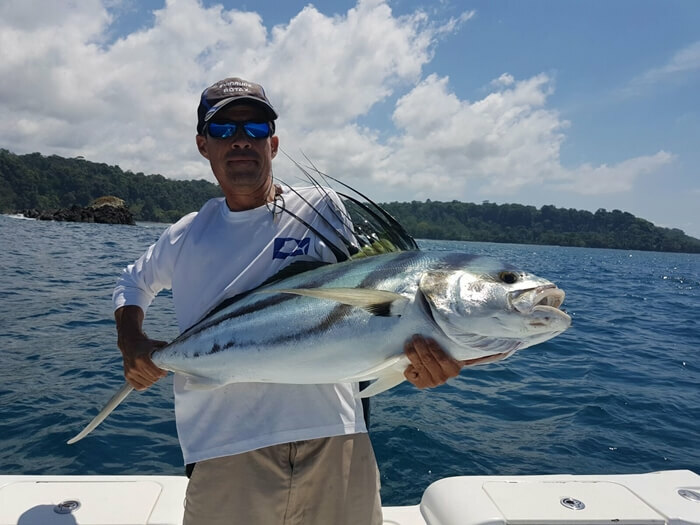 Species like Roosterfish, Cubera Snapper, Snook, Sierra Mackerel, Bluefin Trevally, Bigeye Trevally, Barracuda and Jack Caravelle bite there. Normally from December to April a lot of sardine schools get close to the beach to spawn, so predators get there to feed and is the perfect time for throw any surfece lure like poppers. Some large rock formations can be found along the coast which increases the possibilities for excellent catches. The fishing along the coast is good around the year but course there are a better days than others. That tour last around 8 hours. 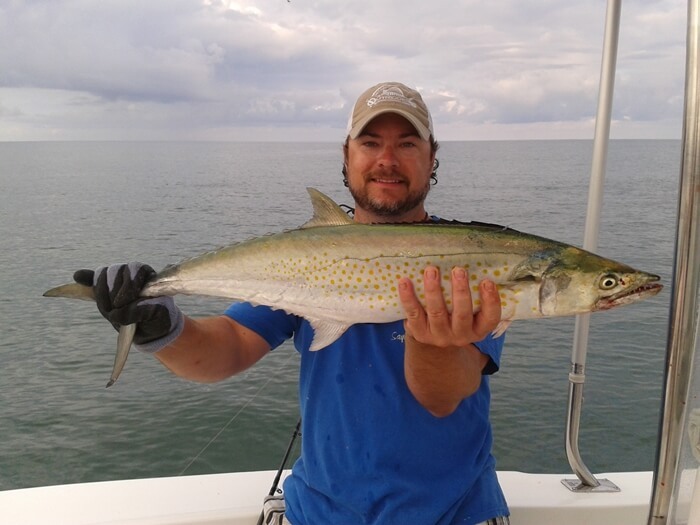 But if you don´t want spend all day in the ocean you can mix the Inshore Fishing with River Fishing. 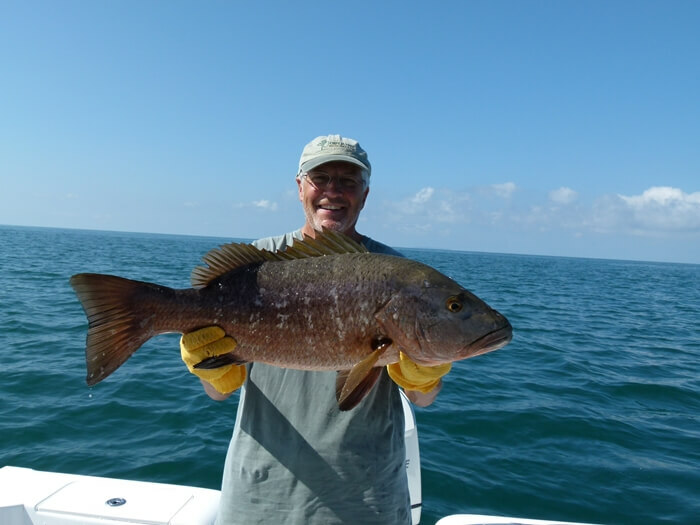 Since the river fishing is better when the tide is low you can mix Inshore fishing with River Fishing if the low tide is early by 7am or by noon.